For months, members of Congress have been at odds over how much money the United States ought to spend on fighting the Zika virus. The World Health Organization declared Zika a global emergency back in early February, around the time the Obama Administration asked Congress for $1.9 billion in emergency money to combat the mosquito-borne virus. Republicans balked at that request, and many of them dismissed it as unnecessary. If the White House wanted money to fight Zika, they said, it would have to dip into the funding already set aside to combat ebola. More than five months passed, and Zika has proved to be worse, in many ways, than health officials feared. A suspected link between the virus and the grave birth defect microcephaly was confirmed. Scientists learned that Zika can cause devastating outcomes, including death, in infected children and adults—not just among fetuses. And it became clear that the virus is spread not just by infected mosquitoes but through sexual contact. Health officials are only just beginning to understand the enormous scope of Zika’s impact, and the threat of an outbreak in the United States remains acute. The first death caused by Zika was recorded in the United States earlier this month. Yet when members of Congress embarked on a seven-week recess last week, they failed to resolve the question of whether to approve money to combat Zika. “Without ensuring there are sufficient resources available for research, prevention, control, and treatment of illnesses associated with the Zika virus, the United States will be ill equipped to deploy the kind of public-health response needed to keep our citizens safe and healthy—especially since the spread of mosquito-borne illness is accelerated during the summer months,” the American Medical Association said in a statement on Thursday. One Republican who has pushed for Zika funding is Marco Rubio, the Florida senator whose state—along with Texas—is considered to be among the highest risk regions in the U.S. for an outbreak of the virus. As of last week, the CDC reported 1,305 cases of Zika in the United States, but no local cases of transmission—meaning mosquitoes aren’t known to be spreading the virus in the United States at this point. But even if the United States avoids a serious outbreak this summer, the fight over Zika funding reveals a much larger problem with the way Congress thinks about the role of the United States in public health emergencies. Even if the United States didn’t have a moral obligation to use its substantial resources and global standing to fight diseases like Zika, several public-health officials told me, protecting U.S. citizens requires looking beyond the country’s borders. 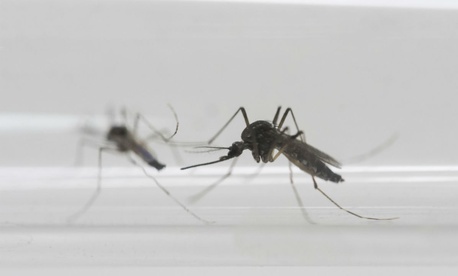 “Knowing this is a disease transmitted by mosquitoes and by humans means we should be investigating it as if we’re part of the world, and not shielded from it,” said Paul Farmer, the physician and humanitarian. An isolationist attitude toward public health may seem to some members of Congress like a way to save money, but it’s an approach that doesn’t actually reflect how diseases spread. A failure to act globally, Farmer says, puts everyone at risk. If Zika hasn’t prompted Congress to act, it’s unclear what—if anything—actually will.